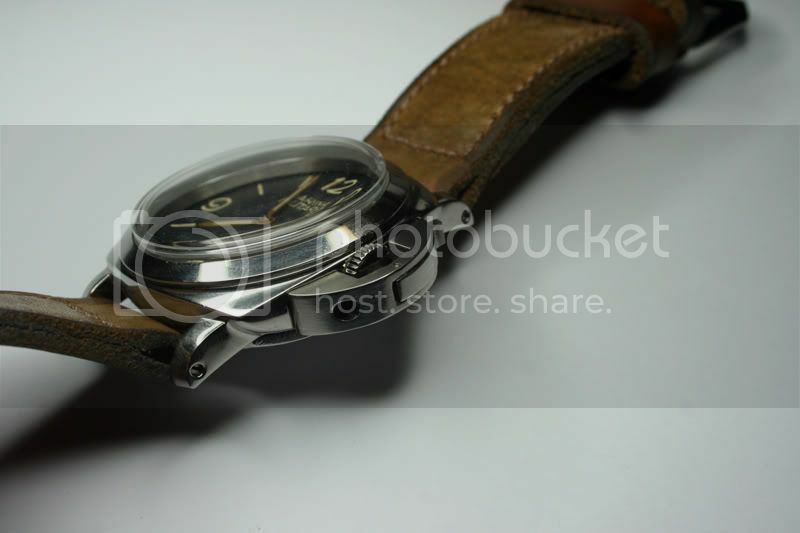 A close friend of mine is currently having this Hot Rod vintage Panerai homage built. Although it looks good to me, apparently there's even more detailing to be done - handmade crystal and spring bars, more accurate CG, more work on the case etc, so it's going to be truly spectacular when it's finished. 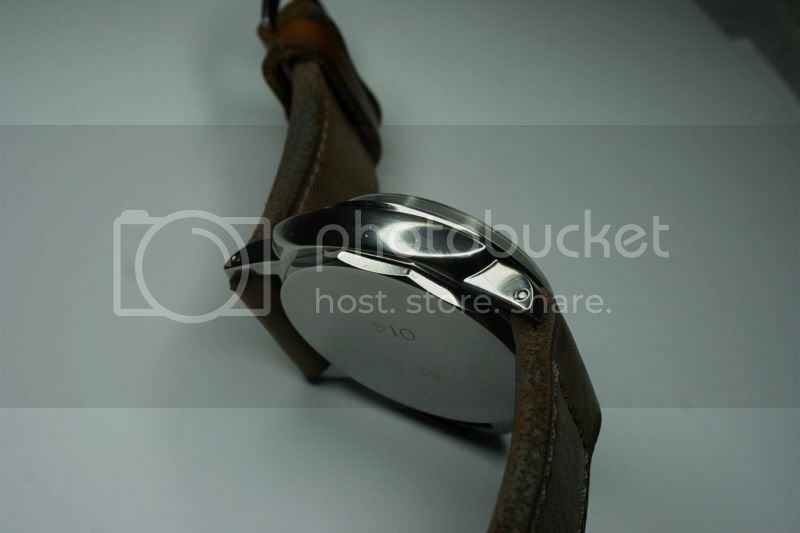 The engraved caseback and strap were borrowed from another project just for the photos but the special caseback is likely to stay put and an identical strap has been ordered from Peter Gunny - it's a Mission Impossible 1, his top of the range strap which is a 1:1 replica of an original vintage Panerai strap which was made for a collector (Peter was given one half of a gennie strap and matched the other half. They are expensive and take several weeks to make). 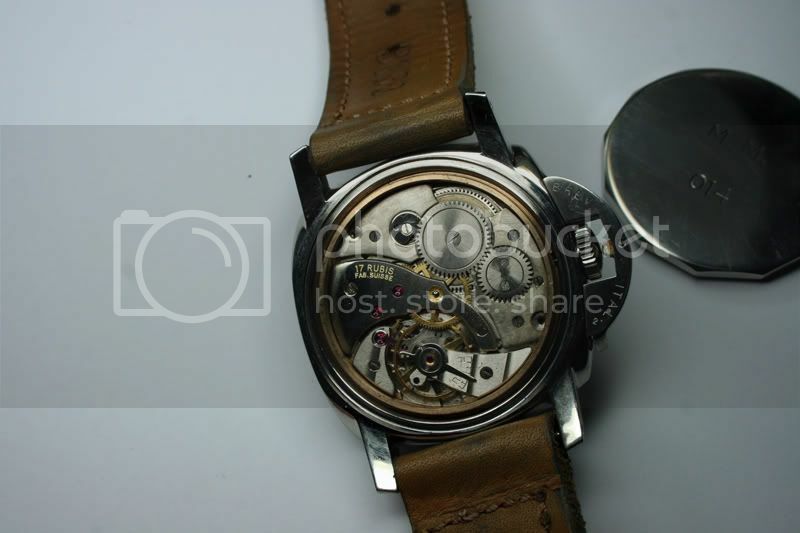 The movement is a '50s Molnija 3601. 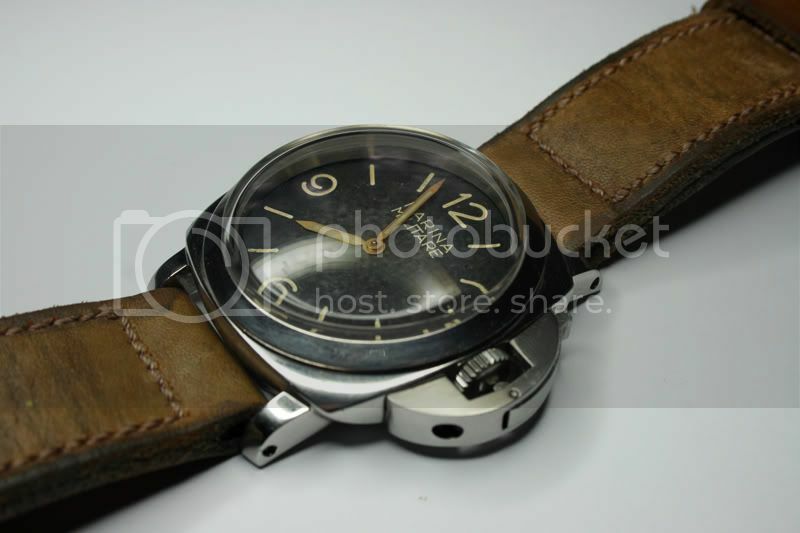 I believe that Molnia bought the Rolex / Cortebert 618 tooling (the original Panerai 6152/1s were powered by 618s). 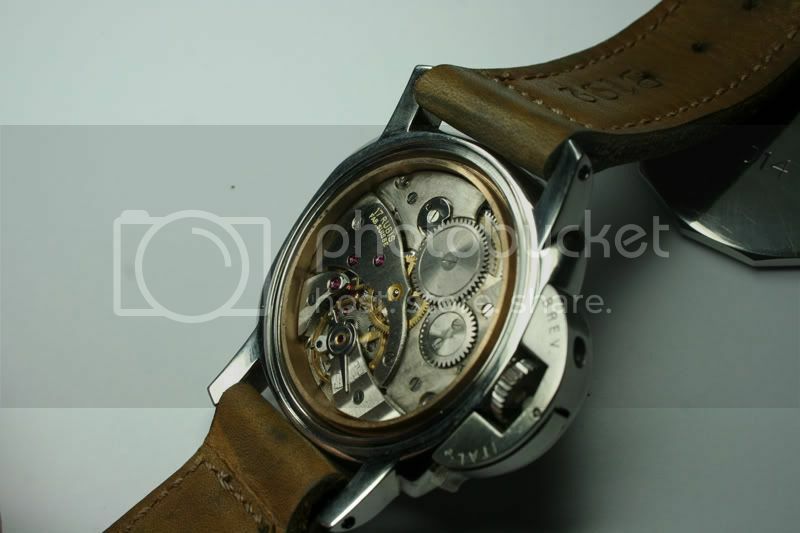 A great deal of work has gone into the movement - all the Molnija engraving has been removed and it has been re-engraved with a one-off pattern for which my friend paid for the template. 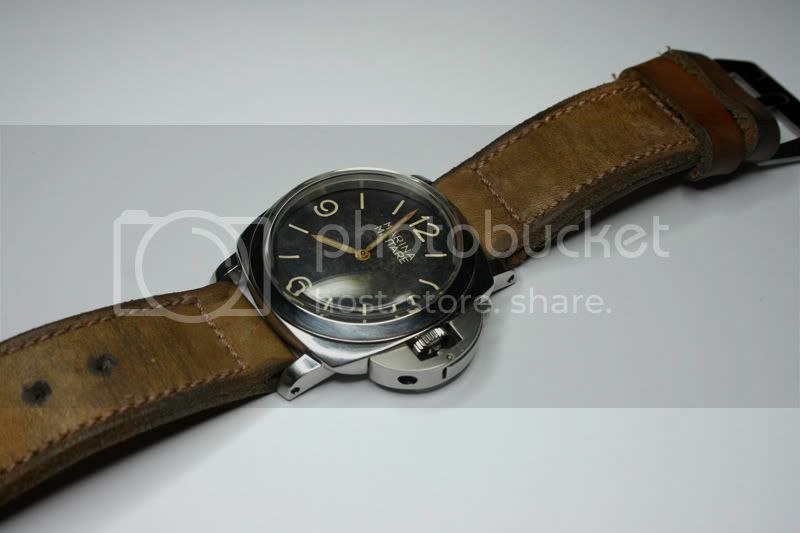 The markings are actually the same as some of the 618s used in 6152s and cushion case 3646s in '54 and '44 respectively, as you can see in Ehlers and Wiegmann's Bible, "Vintage Panerai - The References". 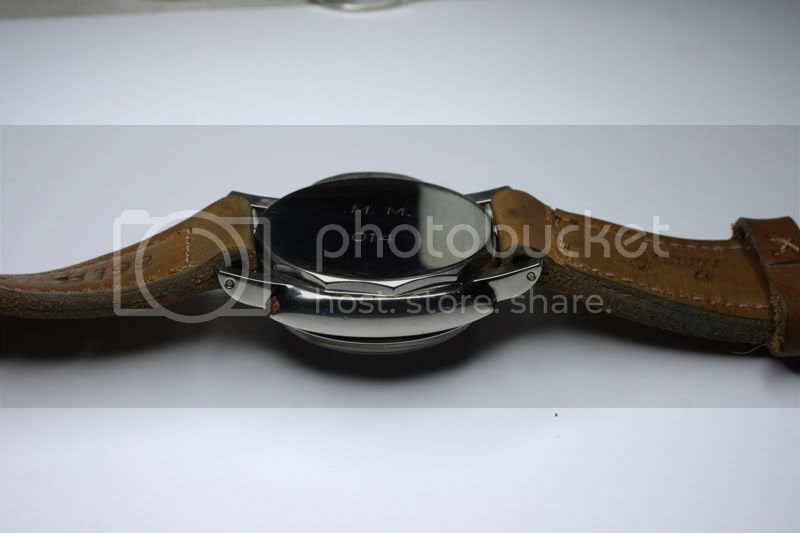 The dial and hands are handmade, as are many of the other parts. Two weeks were spent making the dial alone - starting with the metal baseplate, filling the indices, painting and aging it etc. Everything has been carefully aged to give create a well-worn patina, rather than that "knackered" look which so many homages end up with and which is much easier to reproduce. 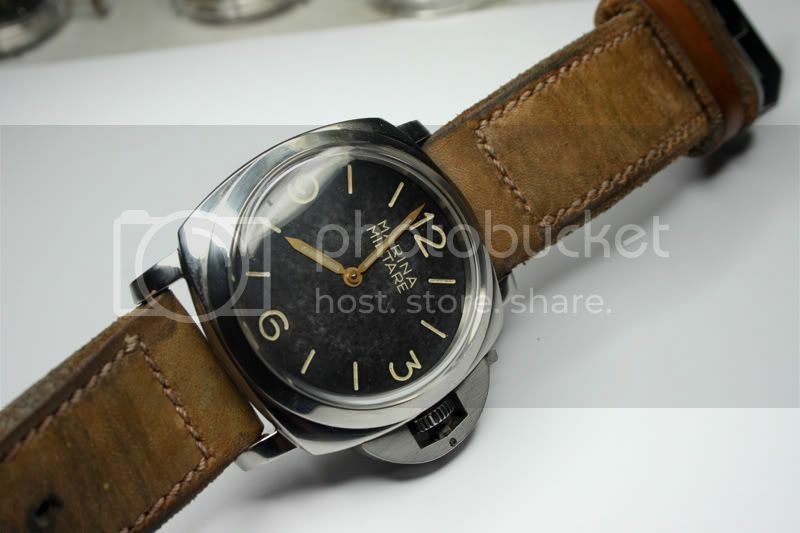 Final detail is "dead vintage lume". As you can probably guess, a huge amount of time and effort has already gone into researching and building this 6152/1 tribute - great care has been taken to ensure that its spec' is as historically accurate as possible. I'll try to borrow it from him again when it's finished and no, I didn't ask him the price! 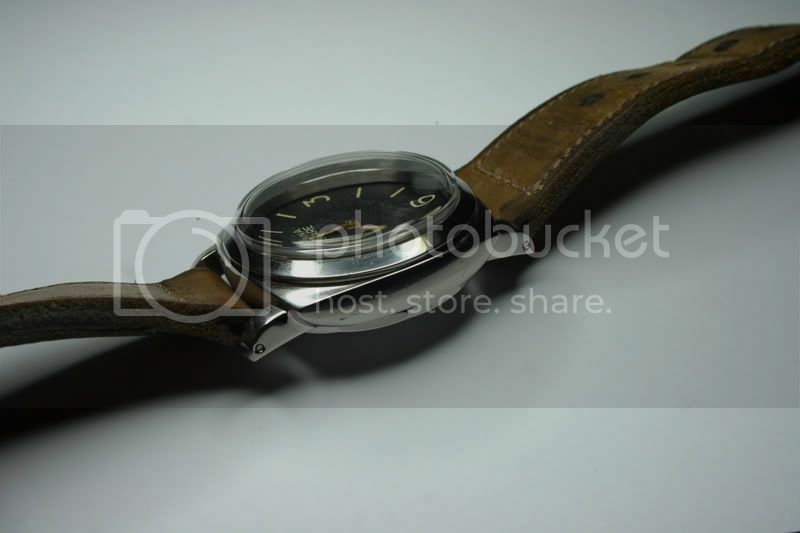 Last edited by StampeSV4; 18-07-2010 at 18:35.